As much I as I enjoy Lordi's collective output, To Beast or Not to Beast is yet another record the metal community didn't ask for. Cheesy title and all, there are plenty of reasons why, among those being that the Finish rockers never seem to make a lasting impression, with music a bit too retro for current tastes. 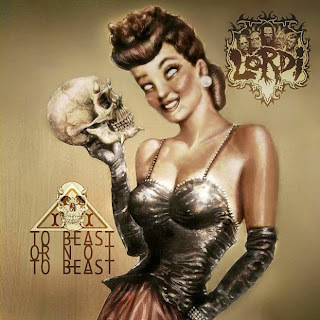 Gwar-like in appearance, yet with a sound wedged somewhere between Kiss and AOR rock, Lordi has one foot in the eighties and one foot in the nineties--essentially opposite ends of the spectrum that don't always match up favorably. Onlookers often judge Lordi's material once they notice their physical appearance and music don't quite fit together, but that's not the point here. In theory, music should take precedence over all, not a bunch of glitzy costumes. But, unfortunately, that isn't always the case because hostility toward Lordi looms large in the metal community, particularly when listeners take the five-piece more seriously than they should. As a general rule of thumb, never take men (and a woman!) in monster suits seriously. In fact, if you're doing that, I reckon you need to take a good look in the mirror and reassess yourself. Lordi knows damn well that their music isn't going to be given any amount of consideration by self-serving aficionados, so they soldier ahead undeterred. Plenty of people, including myself, find Lordi's throwback approach to hard rock and metal charming enough to revisit for the god-knows umpteenth time, but, for others, the idea might not be that warm cup of tea on a cold, winter day. The band's latest release, To Beast or Not to Beast, is more or less along the lines of what they've been perfecting since the early nineties when Mr. Lordi was the sole member. 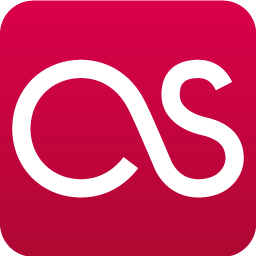 It's admittedly not for listeners seeking music with deep meaning or virtuosity, but it's an excellent gateway drug for future headbangers. 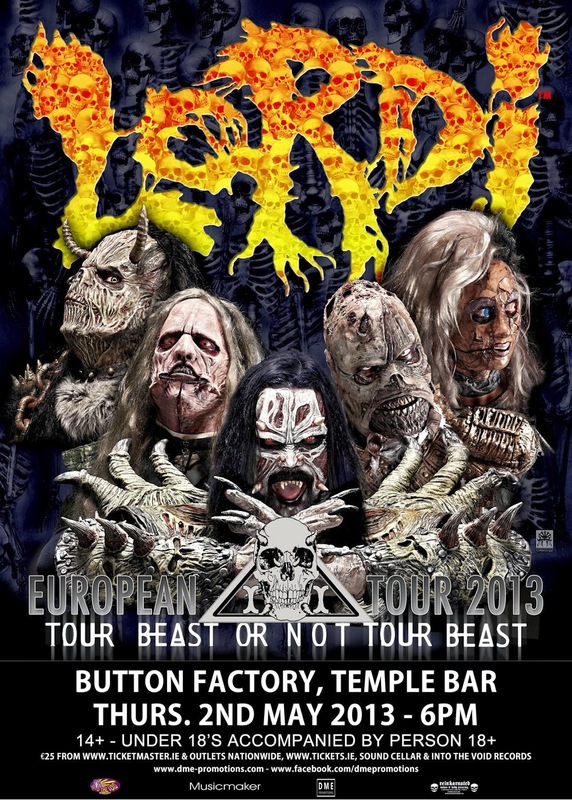 Think of Lordi as the most accessible of the recent hard rock and metal acts; candy-coated synths, irresistible hooks, and costumes, which could be misconstrued as a gimmick, do a lot to spice up the traditional rock formula. But while To Beast or Not to Beast is undoubtedly in the same vein as past releases, the production is a step in the wrong direction, feeling recessed, as if behind a brick wall. Envision standing just outside your favorite venue, intently listening to Morbid Angel crank out another blazing number on their current tour. It's roughly that type of sound: muffled, murky, and anachronistic. Turn the time machine a few years back, though, and you'll notice The Arockalypse and Deadache were primed for a new century, not only musically, but production-wise, too. That's really To Beast or Not To Beast's biggest letdown, which was also the case with Lordi's previous effort, Babez for Breakfast. The music is excellent; it's just a little short on aesthetic power. 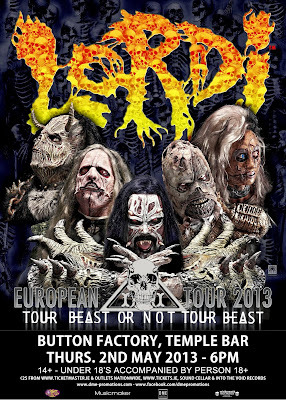 With all that said, there isn't much else to add; Lordi is going to be Lordi, and what you see is what you get. They aren't going to magically mature like fine wine with age. Instead, they'll continue to focus on zombies, rocking police officers, and horror-inspired lyricism, as well as their biggest talent, great songwriting. Cheers to "immaturity," and combining monsters and bombastic choruses, Lordi. Screw the haters.